Artists were invited to explore the concept of macro and/or close up photography. There is something magical about seeing a subject up close and personal. Think of an old watch, a flower or even some food items that could be shot on your kitchen table. The shapes, textures and colors come to life in the world of close up photography. This is not strictly a macro exhibit. Close up photography can be loosely defined as larger than life size. George Lowell – Ever See a Tripod Walking? 1) The Gallery will retain a 30% commission on works sold which is considered a tax deductible donation to MMAS. 2) Accepted work that is framed must be framed appropriately with frames that are in good condition. Frames should be wired approx. 1/3 of the way down from the top of the piece. No saw tooth hangers. We will not accept work that does not meet these guidelines. If pieces do not appear as they did in submission or are not in good gallery-ready condition, the gallery reserves the right not to hang them for the exhibition. 3) Work must remain at the gallery thru the entire exhibition. 4) All entries must be original works of the artist and cannot have been previously exhibited at the Morini Gallery. 5) All entries accepted will be eligible for publication in MMAS promotional materials and press releases. 6) By agreeing to these terms, the artist understands that while MMAS handles all work with the utmost care, MMAS is not responsible for loss or damage. 7) Work that is unclaimed after 90 days from the scheduled show pick up date will be considered a donation to the Morini Gallery. Please fill out an entry label for each work accepted into the exhibit. Shipped work must arrive no later than January 15th 2019. Please include a return shipping label. Marie Craig is co-founder and director of Fountain Street, a contemporary art gallery in Boston’s SoWa arts district. 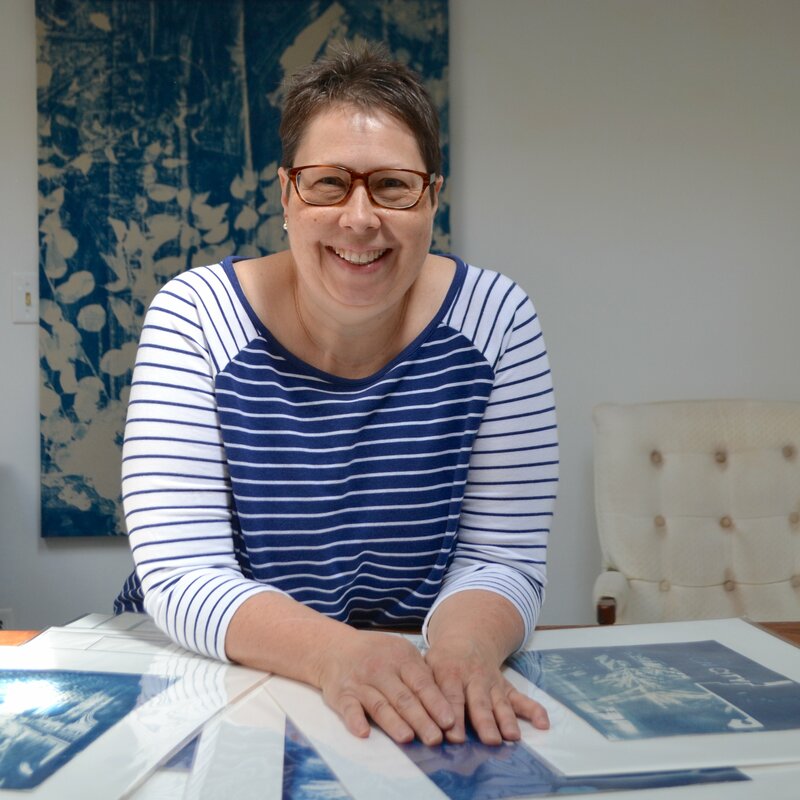 Her passion is to make original fine art accessible, approachable and affordable for everyone, while engaging artists in the process of marketing their work to the public. In her role as gallerist, Marie has curated numerous exhibitions, and has juried several international calls for art. An artist herself, Marie photographs places and things that have a hidden, forgotten beauty within them. Her work has received a number of awards and has been shown in galleries and museums throughout New England. 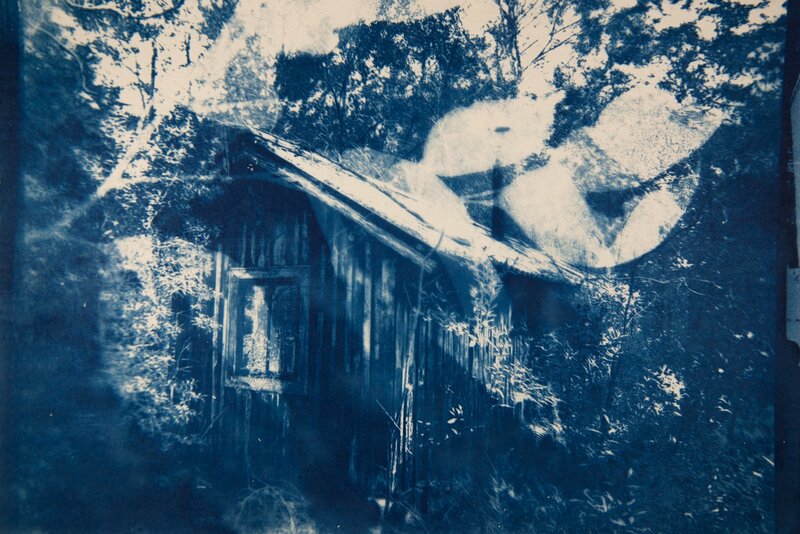 Marie Craig, Cabin 4, cyanotype on paper, 14 x 17 in.